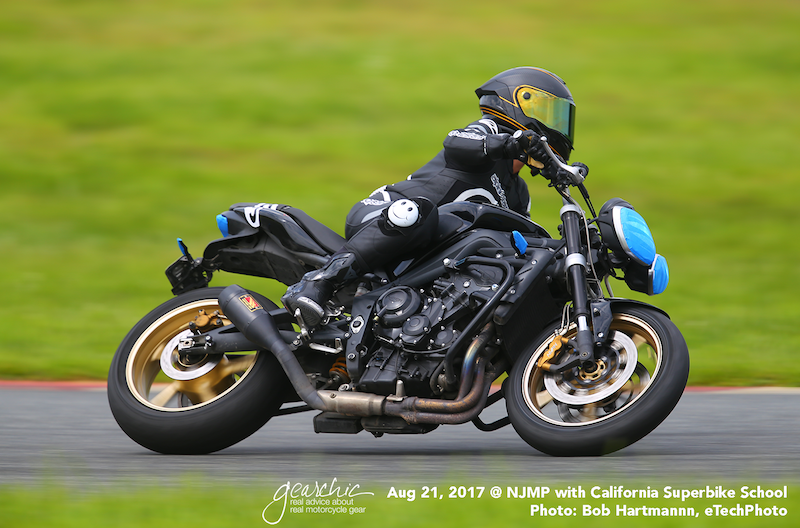 If you ride a sportyish / performance motorcycle and you're looking to improve your riding skills, consider joining me and my friend Brittany Morrow at an All Women's Track Day with Reg Pridmore's CLASS Motorcycle School. You've seen my post about Reg's class before, but this one is even more special. Gigi, his awesome other half is a coach and truly wants to help you become a better rider, no matter what you ride. But especially if you ride a sportbike. Our bikes tend to be a bit faster, harder to control sometimes and just challenging to figure out when you've never ridden a sportbike. Or if you're transitioning from a classic/standard riding position to a more aggressive one. It's a completely different style of riding that needs more than just your basic riding course. If you register by March 11th, you can save $50 using code WSR18, courtesy of the Women's Sportbike Rally happening July 13-15, 2018 in Camarillo or September 7-9, 2018 in Deals Gap. If you have any questions, post a comment or send an email to info@classrides.com. Or if you have questions about track related gear for women, or anything regarding track days please post a comment! If you aren't on a sporty bike, then be sure to check out my advanced course list. Listen to Episode 19 as Cristi shares her experience at the BMW Performance Center. How did she manage to have any fun or boost her self confidence? Learn how to change your own oil! Then, spend an hour with me, trying on gear and figuring out what fits, what doesn't and were to buy it. On Sunday, March 4, 2012 from 1pm-3pm, my friend Aleks will be teaching a girls only oil change class at the Moto Shop in South San Francisco. Changing your own oil takes maybe 30 minutes and is soooo easy. It's so satisfying knowing how to fix something on your own motorcycle. It's yours, why not figure out how it works? Afterwards, we'll move over to the couch and my friends at Scuderia West in San Francisco will be sponsoring this class by providing samples of jackets, pants, boots and gloves for you to try on. As this class is limited to 5 people, Aleks and I are going to give you some real one on one time in this class.